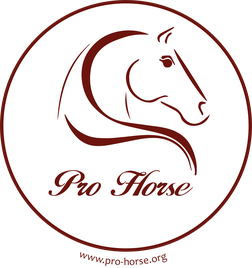 ProHorse is made up by us, Veronika Bühn and Jan Henn. 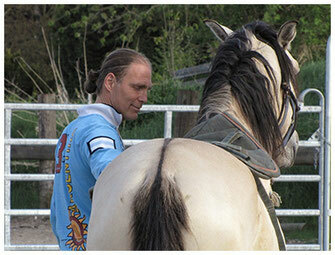 Here you can read more about our many years of experience in the areas of horsemanship, the schooling of young and "problem" horses, as well as the classical art of riding according to the principles of the École de Légèreté with you. 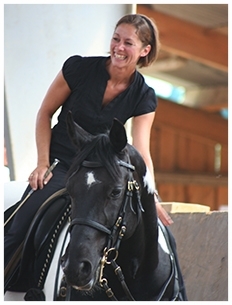 The respectful and horse friendly handling of horses is a matter that is especially close to our hearts. 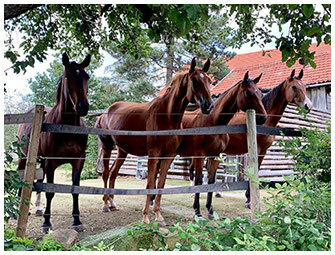 To live with horses – that is what I want and that is what I am doing ! Whether this relates to the care, the handling, the education or riding of horses is incidental to me. me for as long as I can think back. individual riders and their horses. We have been living on our smallholding in North Hesse since 2015. The original buildings such as the house we live in date back to the end of the 18th century. The heart of the property is formed by a 300 year old lime tree in our courtyard with the adjacent barn. Large deciduous forests surrounded by field paths make for wonderful outrides and will bring joy to the heart of any rider.